To provide quality care to all the patients undergoing surgery, during their stay in the hospital and using the best of skills and resources in all aspects of peri-operative management. 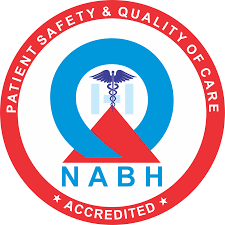 To plan and to provide the quality care as per the National and inter-national guidelines issued by organizations and societies in respect of management of patients related to Anaesthesiology, Critical care, Surgery, Nursing and others. To collaborate and co-operate with other members of the health care team in meeting the preventive, emergency and restorative health needs of patients in a safe, comfortable and therapeutic environment. Quality care that is professionally planned, implemented, evaluated and administered in an efficient, cost effective manner. Knowledgeable and skilled personnel care to meet the patients’ individual needs during their stay in operating theatre. A safe and therapeutic environment will be provided for patients and personnel. Proper equipment and Supplies for all operative procedures. The provision of continuing in-service education for personnel doing various jobs in operating department. The promotion of good communication between members of multidisciplinary teams. Goal : To prepare competent anaesthesiologists, as per the needs of the society and to make them qualify to play vital role in the preoperative management of patients in operation theatres as well as critical care wards. Objectives : To provide the latest skills in the field of Anaesthesiology and ICU. To be a competent teacher and trainer for undergraduate students.